Video: THE UNDERDOGS by Melissa Fay Greene . Video: TEDxTelfairStreet: Melissa Fay Greene. Video: FORA.tv: Melissa Greene - Africa, AIDS, and Adoption. 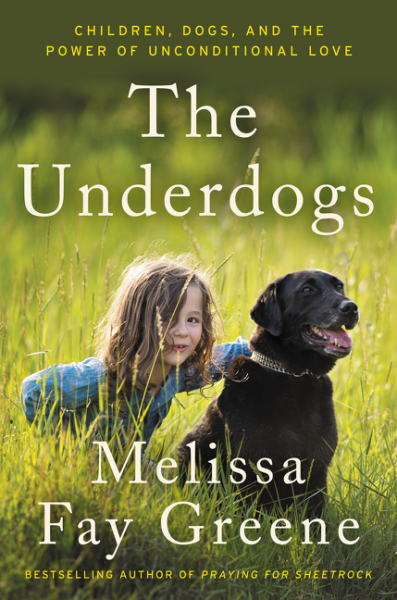 Melissa Fay Greene, a two-time National Book Award Nonfiction finalist, is the author of six books of nonfiction, including The Underdogs: Children, Dogs, and the Power of Unconditional Love (Ecco). The Underdogs tells the story of Karen Shirk, felled at age twenty-four by a neuromuscular disease and facing life as a ventilator-dependent, immobile patient, who was turned down by every service dog agency in the country because she was “too disabled.” Her nurse encouraged her to tone down the suicidal thoughts, find a puppy, and raise her own service dog. Karen did this, and Ben, a German shepherd, dragged her back into life. “How many people are stranded like I was,” she wondered, “who would lead productive lives if only they had a dog?” A thousand state-of-the-art dogs later, Karen Shirk’s service dog academy, 4 Paws for Ability, is restoring broken children and their families to life. The dogs dispatched to families around the globe by the Ohio-based service dog academy perform miracles of love and empathy. And yet current scientific research into the emotional and cognitive abilities of dogs suggests these are not “miracles” at all, because intelligence, devotion, and sensitivity are woven into the very nature of dogs. 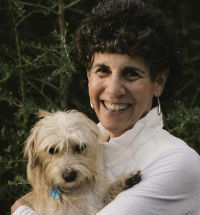 Written with characteristic insight, humanity, humor, and irrepressible joy, what could have been merely touching is a penetrating, compassionate exploration of larger questions: about our attachment to dogs, what constitutes a productive life, and what can be accomplished with unconditional love. Greene has also been a contributor to NPR, The New York Times Magazine, The New Yorker, LIFE, Washington Post, Good Housekeeping, Newsweek, The Atlantic, Readers Digest, Ms., The Wilson Quarterly, Redbook, and CNN.com. Her honors include a National Book Critics Circle Award nomination, the Robert F. Kennedy Book Award, the Chicago Tribune Heartland Prize, the Southern Book Critics Circle Award, the ACLU National Civil Liberties Award, the Hadassah Myrtle Wreath Award, the Salon Book Award, Elle Magazine’s Readers’ Prize, the Georgia Author Award, and a Dog Writers of America Award. Her books have been translated into 15 languages. She is a 2010 recipient of a doctorate of letters from Emory University, a 2011 inductee into the Georgia Writers Hall of Fame, and a 2015-2016 Guggenheim Fellow. "Melissa Fay Greene kept us enthralled for the better part of an hour, laughing and crying. She is marvelous to listen to, her voice just pulls you in and you can't help but listen. Her slideshow, while unnecessary to keep listeners' attention, was like the icing on the cake, with all the captivating shots of animals being who they are, especially the dogs. We all loved that her own dog finished up the night. No one who attended that evening left without being touched somehow, I'm sure of it. I haven't stopped telling anyone who will listen about the service dogs and families she wrote about. If you get the chance to hear Melissa, be sure to take it."